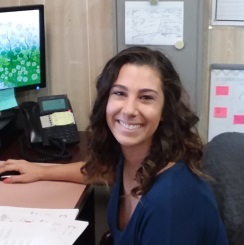 Venice Cooling & Heating Organization is here to answer your phone call. Since 1974, Venice Cooling & Heating has been servicing the Venice area. We are an organization of about 15 employees and have been locally owned since our organization was started. We service customers in Venice, Nokomis, Osprey, South Sarasota, North Englewood, and North Port west of River Road (see map below). Our scope of work includes Repair, Maintenance, and Replacement of residential & light commercial cooling and heating systems up to 15 ton. The way an organization answers the phone goes along way in making customers happy. 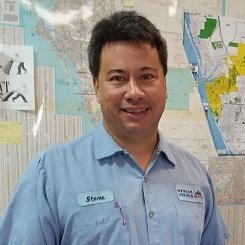 I have been the owner of Venice Cooling & Heating, Inc. since 2009, I help out where needed and enjoy the technical aspects of the cooling & heating business. Chris performs service calls in the field, He also manages the service and maintenance department. If there is an problem in service Chris finds a solutions to resolve the issue. I make sure our office runs efficiently, take care of the office management, payments, scheduling, and try to keep our customers happy. 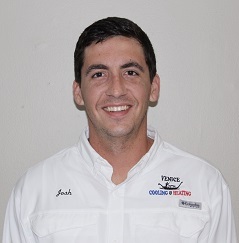 Josh does most of the residential replacement estimates, and he makes sure the installation team is prepared for the customer’s job. 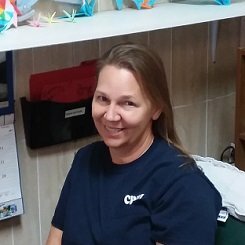 Shauna is great with customers, and always efficient and professional when doing her job. We service customers in the RED highlighted area. WHAT CUSTOMERS HAD TO SAY ABOUT OUR ORGANIZATION. We've been using Venice Heating and Cooling for a number of years. We find them to be efficient, punctual, reliable and honest. We would not use anyone else. We recommend them highly. 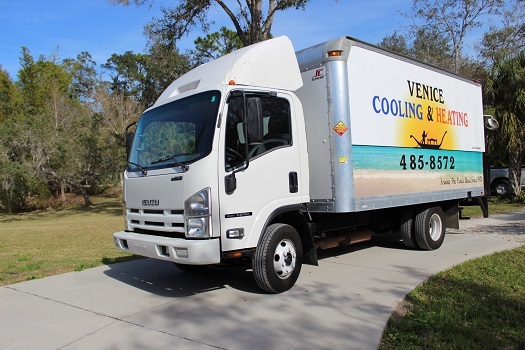 Since we moved to Florida, we have been very pleased with the service provided by Venice Cooling & Heating. The service personnel are prompt, courteous and have the knowledge and experience we trust. Highly recommend them! Thank you and all the work over the years the boys have done for me. My A/C was not operating properly. It decided when it would operate and when it would not. would establish an approximate time for a technician to inspect my unit. Discovered the representative expressed genuine concern for my status. to do with the problem, in order to increase the cost of the job order. close friend. An amiable guy. May I take this opportunity to recommend Venice Cooling & Heating to the Community. a recommendation, I will definitely recommend they call you guys. Thanks so much. Thank you so much for your promptness in addressing this issue for us! our AC/Heating unit several times over the past few years. Each time Rich arrives for a service call, he is prompt and ready to work. one of the service technicians that you employ. Thank you Rich, we appreciate your efforts to do quality work. a suggestion that would improve the efficiency of our air conditioning unit. When questioned about the advantage of a service agreement, he explained fully, and we were sold! We were exceptionally pleased and impressed by this young man. He is as asset to your company. 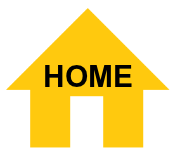 send someone to my home as our hvac was not cooling the house. with the service you provided and your professional tech Chris. A note of thanks and commendation for the terrific service, installation and performance of our new AC system. for you to make an estimate at 8:15 AM Saturday morning (on a Holiday Weekend). your quote. The third firm never showed. 98% of your competitors were not working July 4 weekend. - Monday your team showed up at 9 AM sharp (as promised) to install a temporary unit. They has us cool by noon. -Wednesday your team showed back up with the new system at 9 AM and by 4 PM our new system was running flawlessly. Their work area was swept and cleaned to perfection. The installation easily passed the Sarasota County Inspection. Thank you again for a job well done, it was an excellent experience. This letter is to thank you so much for the flawless installation and quality of our new Trane air conditioner. We were experiencing poor cooling and a very noisy system with our "bottom of the line builder's grade"
and we feel the air is cleaner. the previous installation in a systematic manner. They even maintained their sense of humor! 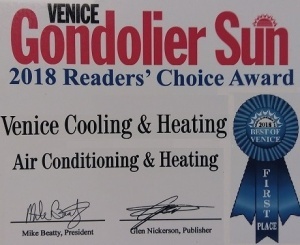 We would highly recommend Venice Cooling and Heating to our friends and neighbors. I would like to let you know that your installers were great. their work. It is a pleasure to be on your reference list. Thank you for your prompt & courteous service. service with a smile, but helped get a black snake out of my mother's bathroom. I appreciated the excellent customer service and feel that is should be celebrated. Thank You so much for your VERY prompt service! It is appreciated more than we can say! 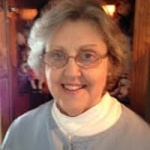 mercy, I will be your customer until I am in the nursing home. Everyone I have encountered with this company is wonderful! Very professional, kind spirits, and helpful. Josh was just wonderful, he did a great job! the way the installation went. The air balance in the house is perfect, very happy with the installers. It was a great all around experience dealing with Venice Cooling. make sure everything went right. wonderful and would love to have him back again. Thank you for coming out so promptly, we will use you again. Installers were amazing, efficient, clean & quiet! Click to see our Google search page.